"My father has never let any of this 'Hollywood' hype go to his head. He has never forgotten where he came from. It does not matter to him if you are the head of the network or you are a grip, he is going to treat everyone with the same amount of respect and kindness. Actually, truth be told, he would probably treat the grip a little better." Ever heard the story of how Steve McQueen stole the show right from under the better known Yul Brynner in 1960's The Magnificent Seven, directed by John Sturges. Despite considerably less dialogue, McQueen made the most of his screen time by overindulging in some attention-getting physical tics and actor "business" to divert viewers away from Brynner. Flash-forward to 1963 and now it's McQueen who leads an ensemble cast in Sturges' The Great Escape. 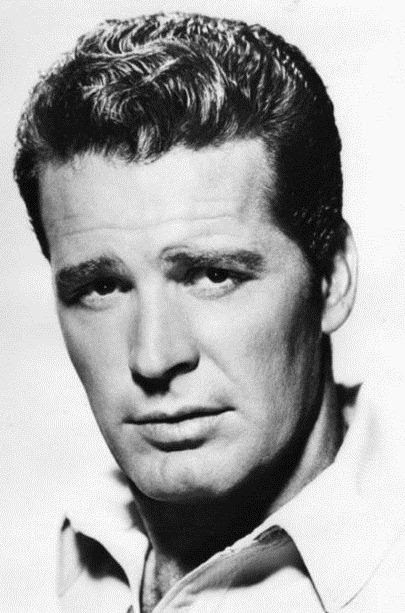 And while the McQueen isn't quite in danger of having the movie stolen out from under him, TV star James Garner—soft-spoken but no less competitive—does more than just hold his own. Whenever he's on screen with McQueen, notably in that scene where the prisoners all congregate in the camp's yard to celebrate the 4th of July, the two seem to be in a competition to see who can outdo the other with as little dialogue as possible. Each mugs it up for the camera, allowing their natural charm—these were not the actors with a capital A that came out of New York's Method school—to do their work for them. Garner and McQueen had a lot in common it turns out. Both were athletic, often opting to do their own stunts. Both were laconic and laid-back. Both were expert drivers. On TV's The Rockford Files, Garner's second iconic series in a business that rarely grants an actor even one, he was frequently called upon to do the driving in the show's numerous chase sequences because he was better at controlling the car at top speeds than the show's veteran stunt drivers. A number of painful physical injuries, many arising out of the stunt work on Rockford, would interfere with his career from time to time. He was forced to turn down each of the lead parts offered to him on the now memorable western TV miniseries Lonesome Dove. But eventually he would get the chance to play the aged Woodrow Call in its sequel, 1995's Streets of Laredo. This and a handful of other parts would showcase—to surprisingly great effect—a darker streak rarely displayed by the actor. In the flawed Mr. Buddwing he played a frustrated amnesiac trying to piece together the days leading up to his memory loss. Hour of the Gun cast him as one of the screen's least heroic versions of Wyatt Earp, again for Sturges. Of all of his performances, it's probably Garner's finest despite being among the least seen. His Earp is obsessive, thuggish and quite unlike any of the heroes one would associate with Garner, certainly not like the Earp he'd play later in life for Blake Edwards' comedy Sunset. My father and I rarely intersected when it came to favorite actors. But my earliest TV-watching memories are full of instances of the two of us watching The Rockford Files. And even though my dad preferred the more contemporary TV Garner while I was more a fan of the western-era film Garner, one thing we both agreed on was that he was likable and always delivered solid, understated performances. One way in which he was not like McQueen was that he avoided his brand of flashiness. "Steve was my neighbor for some time," said Garner. "I called him 'Crazy McQueen,' because, quite frankly, he was crazy. We were friends, but he wanted to play my part in Grand Prix and because of that we didn't talk for four years." At times, Garner was almost too relaxed he would admit when he started chafing under the monotony of playing the lead in the series that first made him a star, Maverick. "I'm playing me. Bret Maverick is lazy; I'm lazy. And I like being lazy." He knew he'd be stuck in TV if he didn't get out and take a shot at movie stardom in spite of the years of lawsuits that would and did follow. I'm glad that he did. Garner died yesterday at the age of 86. I very much recommend these on your viewing stack, Tony (those in bold were James Garner's favorites): The Children's Hour, The Americanization of Emily, Marlowe, Victor Victoria, Murphy's Romance, Sunset, My Name is Bill W. (TV), Decoration Day (TV), Barbarians at the Gate (TV), Space Cowboys, and The Notebook.